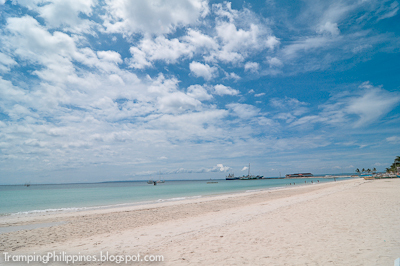 Dizzy after an hour of ferry ride, seeing the white sand beach of Bantayan Island in Cebu served as our medication. 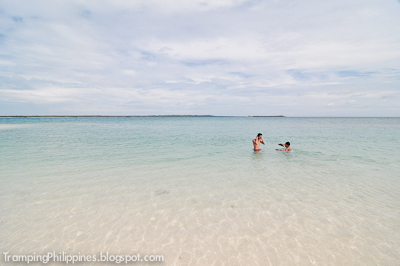 After being soaked and wet during our stay in Malapascua, luckily, the skies now turned for the better. As soon as the ferry docked at the harbor we were picked up by our driver. 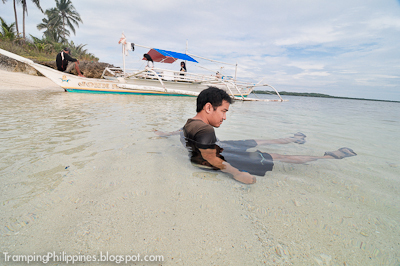 We were bound to stay at the reasonable priced and very accommodating resort, Sta. Fe beach club. Finally, the second leg of our Cebu adventure began. 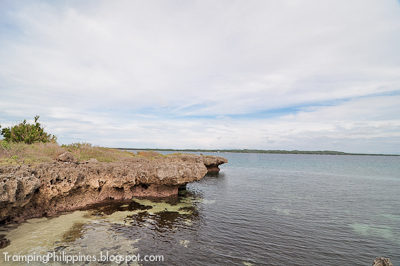 For our first destination, we went straight to Ogtong caves. Situated at Ogtong beach resort, hidden under the pool frequented by people, the caves can be a perfect hideaway for lovers. Our group opted to stay at the pool. I don’t even know why I swam there since white sand beaches were only a minute away, but I think the fresh water coming from the spring was a good alternative from the salty seawaters of the shore. We stayed for about an hour but as the sun neared the horizon, we stepped out of the pool and had dinner at a restaurant nearby. 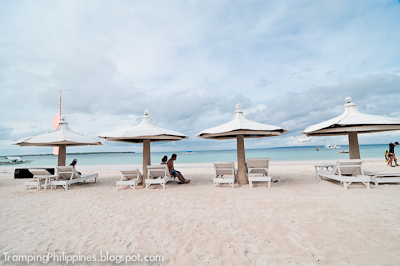 We went back to our resort, rested and loosened up for the last day of our Cebu trip. 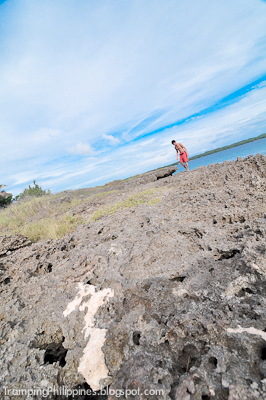 The next day was a simple morning of Island hopping, snorkeling over coral reefs and chilling at the beaches. The weather was so friendly it was so hard for us to get off the waters. 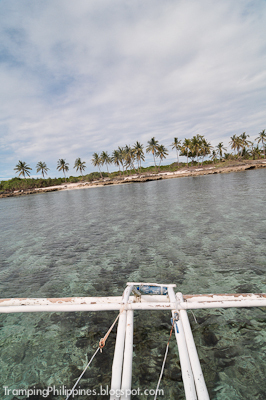 We swam for a couple of hours and then went back to Bantayan Island. After a morning of traveling, we spent the last hours of our stay at the beach of the resort itself. Even though the harbor was nearby, the water was still crystal clear. I instinctively wished Manila Bay be like Bantayan - ships roaming around but still, the cleanliness of the water preserved so one could take a dip. We rested on the beach while watching the children jump and dive from platforms. With the little time that was left, we took as much pictures that we could. 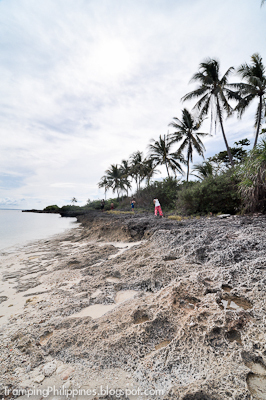 While taking photos at the seaside, I suddenly started to ponder on what real charm Bantayan has to offer. 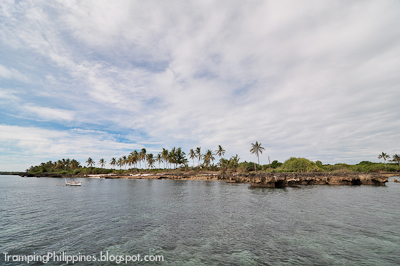 And considering it from all of Cebu, i had to say that this little Island is the most hospitable and most tourist friendly. They offer help for everyone, they cater to your needs and they give you a very bright smile afterwards. We were even invited to join their town fiesta ball without paying a single cent. We didn't even know that dancing may result to payments but the friendly townsfolks decided not to charge us with anything. 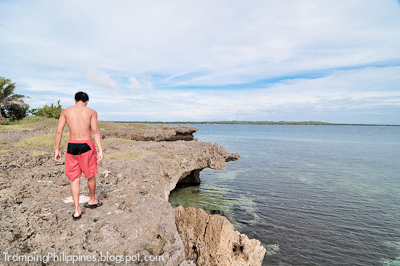 Adding it all up, the time we spent in Cebu was one of a kind. Against all the odds, we were able to push through with this trip. This adventure was a good escape from the hustle and bustle of the city – a splendid vacation indeed. 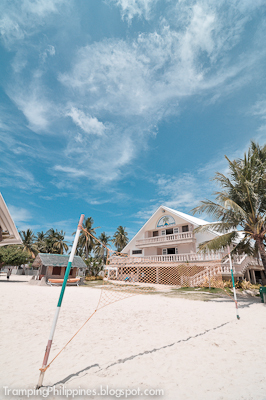 But still, I hope to come back here someday to experience Bantayan as a whole. On the other hand however, considering the time I had here, I have to say it was time well spent. From Cebu City, proceed to North Bus Terminal. Board a Hagnaya Bound Bus. Take Roro from Haganay Port to Bantayan. hi!! 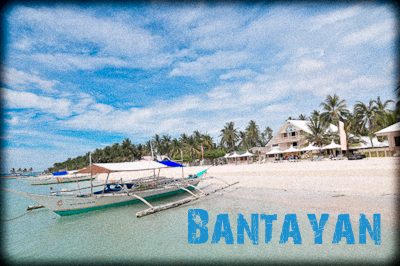 !my husband & i is planning to visit Bantayan island...would you be so kind to share some tips...how much will we prepare?i guess we will b staying for 3 days & 2 nights...thanks!!!! For a budget trip of 2, i suggest you prepare a minimum of 3500 per person since expenses like room and boat will only be divided to two. If don't want to spend a lot on the accommodation, having a fan room at Sta. Fe beach club is OK since it is beach front. You can also haggle on boat arrangements or you can share boats for island hopping with other groups. It is also nice to rent a habal - habal (motorcycle) if you want to roam around the town. And if you're staying at Sta. Fe, you can ask the front desk about going to Ogtong Cave, since they are sister resorts, entrance to Ogtong Resort and the use of their pool is free. Just approach the front desk at Sta. Fe for this. Don't forget to allot budget for expenses such as Terminal Fees. We were there 1st week of May 2012. * Food may be a bit expensive so we bought our own danggit in the market (Bantayan proper) and made "paluto" at the resort They charge P300/ kilo of anything you want them to cook. * They also have residents near Abaniko Resort who can do the cooking for you. They also sell crabs and cook it for you too. 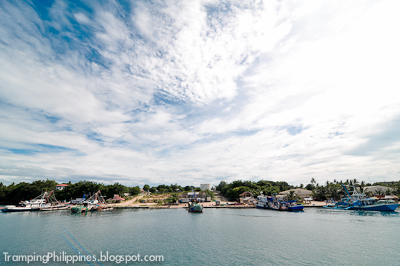 * They also sell danggit and other dried fish near Abaniko resort where all the fishing boats are docked. 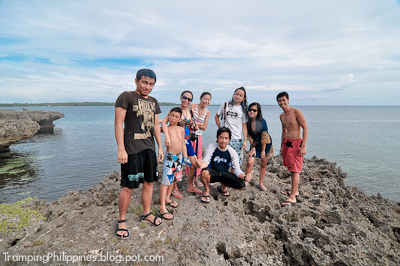 * We stayed at Anika Island Resort but had to transfer to Kota Beach Resort. The bathroom in Kota beach is a complete nightmare. 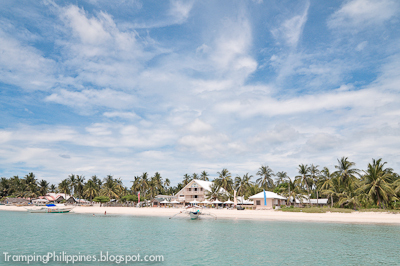 For the same price, STAY IN ANIKA ISLAND RESORT, they have 4-star accommodations. Everything is brand new, tasteful and squeaky clean. * They have a burger stand/ sandwich stand across the old church in the town proper the sandwiches are cheap and tastes good. Bacon and egg is P30 only. Footlong hotdog sandwich is P65 only. Nice write-up! 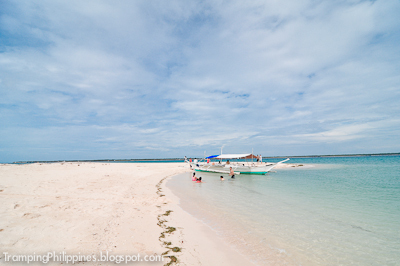 Are there commercial trips from Malapascua to Bantayan? Or do you have to hire a boat? Nope. 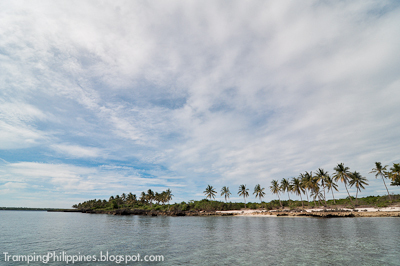 there are no commercial trips from Malapascua to Bantayan. We did hire a boat para derecho na but the weather's not good at that time so sa port na lang kami ulet ng Malapascua then trycycle to port ng hagnaya then ro-ro to bantayan. Contents of Tramping Philippines cannot be reproduced without consent of the owner. Powered by Blogger.